I would like to know if I can customize the Projetex tool. 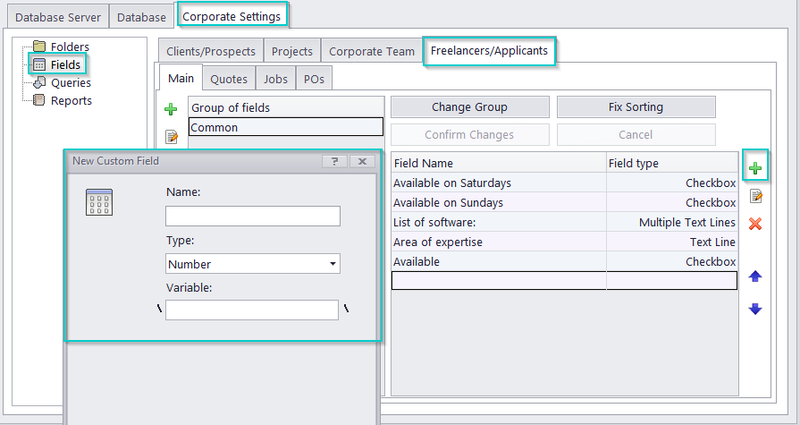 I would like to add more fields on the freelancer information, for example. 1. Launch the Projetex Server Administrator. 2. Switch to the Database tab. 3. Click the Go Offline button to put your database into offline mode (please log out from all workstations first). 4. Switch to the Corporate Settings tab. 5. Select the Fields section. 6. Switch to the Freelancers tab. 7. Click the New button. 8. In the window that appears specify a name, type and variable for this custom field (to use this variable in your RTF-templates). 10. Repeat the described actions for all required custom fields. Please do not forget to put your database into Online mode after making changes to you custom fields.